Last summer, Iraq’s most prominent Christian political party, the Assyrian Democratic Movement, issued a call for volunteers from minority groups to form a local defense force to fight ISIS, the Sunni militant group also known the Islamic State or ISIL. 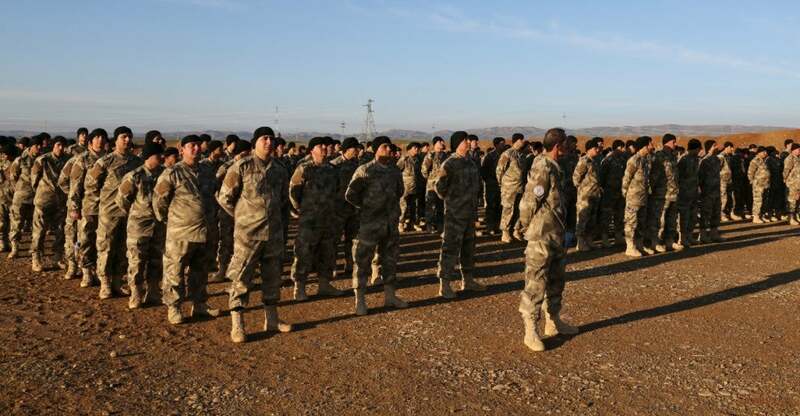 In late January, the Kurdistan Regional Government’s peshmerga—a leading force fighting ISIS that receives American support—offered up the Kirkuk training facility as the grounds for the Assyrian Christian battalion to learn military might. ”This is our right as human beings and as indigenous people: to protect our people and ourselves,” says @KaldoRamzi. Kado, the young fighter, said at least four Americans—volunteers with military experience—are helping train the men to use weapons such as automatic rifles, mortars, machine guns, AK-47s and rocket-propelled grenades. Fighters acquire skills fast, because they have to. They train from 7 a.m. to 9 p.m. every day. “When someone wants badly to do something, everything is easy for him,” Kado says. The training wraps up Thursday, when the civilian fighters are expected to be able to defend their turf. “I know I am ready,” Kado says. 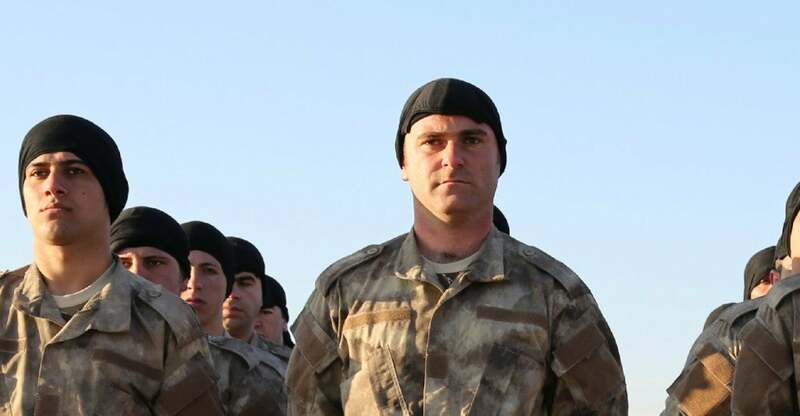 Oghanna says the training of Iraqi Christian fighters has occurred without financial support from the Iraqi, Kurdish or U.S. governments. Donations, mostly from Assyrians abroad, fund everything from guns to bullets to food. He hopes the United States steps forward—help that may be on the way. The U.S. National Defense Authorization Act, approved in December, includes language to train and equip fighters against the Islamic State. As part of the legislation, up to $1.6 billion should go toward support for units such as the Iraqi Army, Sunni tribal fighters, peshmerga and local forces protecting “vulnerable” minority groups in the Nineveh plains. The Assyrian Christians, who consider themselves the indigenous people of Iraq, want to survive on their terms. For Kado and the battalion fighters, that means staying in their villages, no matter that ISIS militants want to wipe Christianity out of Iraq. Oghanna says there are currently less than 400,000 Christians living in Iraq, down from about 1.6 million in 2003. Most have fled. Kado will not. His family’s roots in Al Qosh date back 400 years. More than 400 families from other Christian villages have come to Al Qosh to seek shelter. So Kado stays. “We don’t want to be refugees in another country,” Kado says. Kado has great respect for America. He listens to American music, and he learned English through the songs and lyrics of Whitney Houston. Two of his brothers live in Detroit. Kado is risking everything to stay—to be the guardian of his religion, his land. 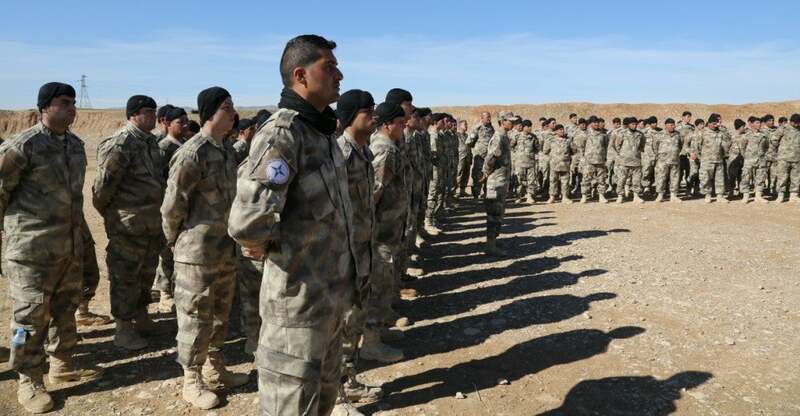 If you wish to donate to the Assyrian Christian militia, click here.